Insurance agent, MLA (1946-1949), MLA (1950-1953), MLA (1954-1956). Born at Lundar on 27 February 1891, son of Halldor Halldorsson and Kristin Palsdottir who had immigrated in 1887 from Iceland, brother of Salome Halldorson, he was educated at public schools and the Manitoba Agricultural College. On 6 September 1923, he married Gudlang M. Eyolfson, daughter of Mr. and Mrs. John E. Eyolfson, of Lundar. They had two children: Roy Oscar Halldorson and Doris Gudrun Halldorson. During the First World War, he served in the Canadian Expeditionary Force with 107th Battalion and the Third Canadian Engineers (February to May 1919). 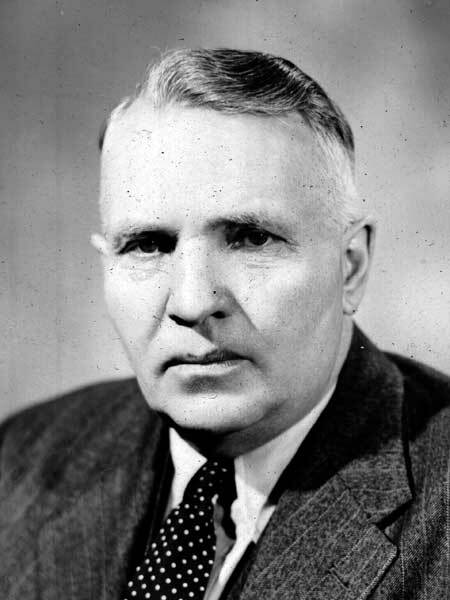 He was first elected to the Manitoba Legislature in October 1945, he was acclaimed in 1949 and re-elected in 1953, serving until his death in 1956, being replaced by Elman K. Guttormson. He died at Winnipeg on 18 September 1956 and was buried in the Lundar Cemetery. The Canadian Parliamentary Guide, 1947. “Christian Halldorson, MLA, dies,” Winnipeg Free Press, 19 September 1956, page 1. “Halldorson services Friday, Saturday,” Winnipeg Free Press, 20 September 1956, page 18.